Dry to moderate moisture. 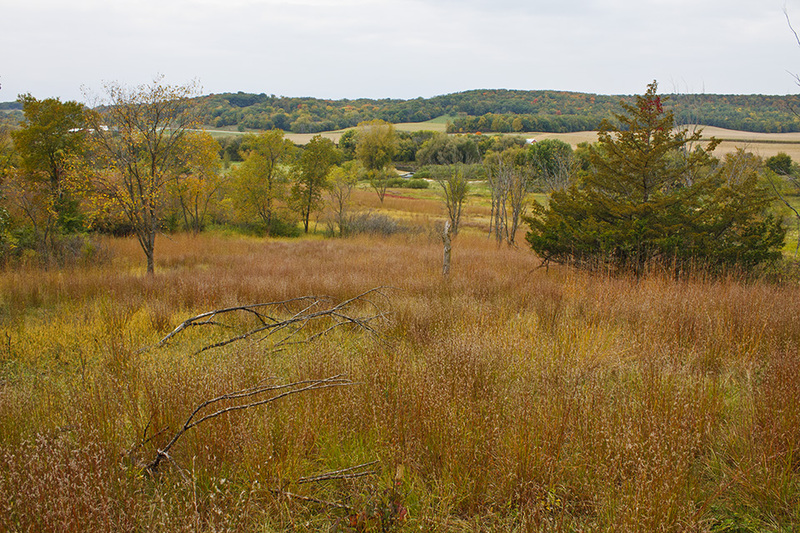 Prairies, south-facing goat prairies, open woods, pine barrens, dunes, roadsides, railroads, old fields. Well-drained, rocky or sandy soil. 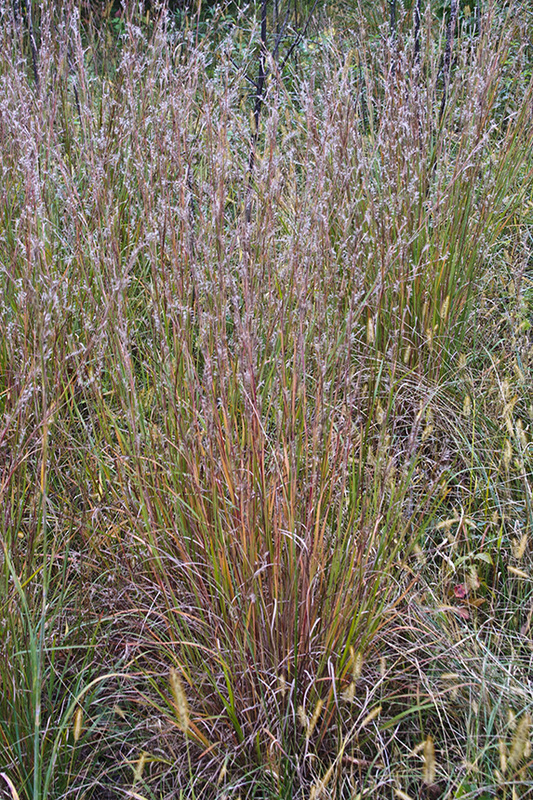 This is an erect, medium-height grass reaching 18″ to 36″ in height at maturity. The stem (culm) is distinctly wine-red or purplish near the nodes. 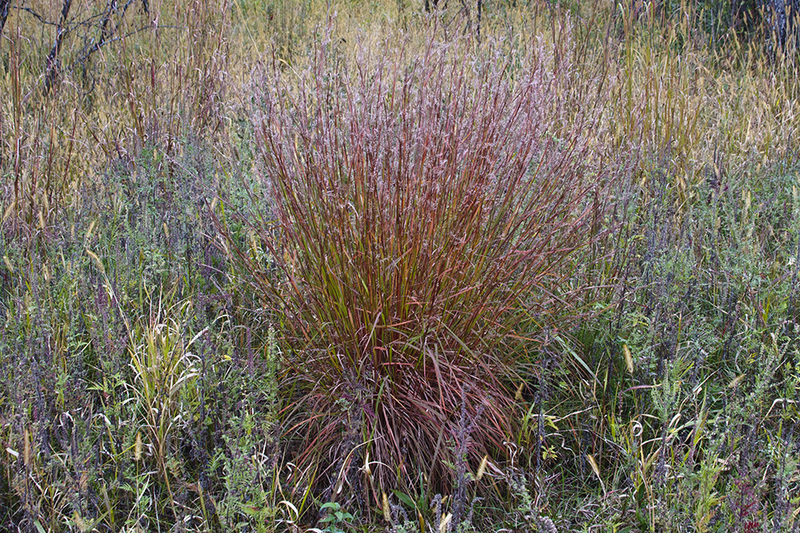 The leaves, especially the lower ones, are rough to the touch, and may have scattered, long hairs. 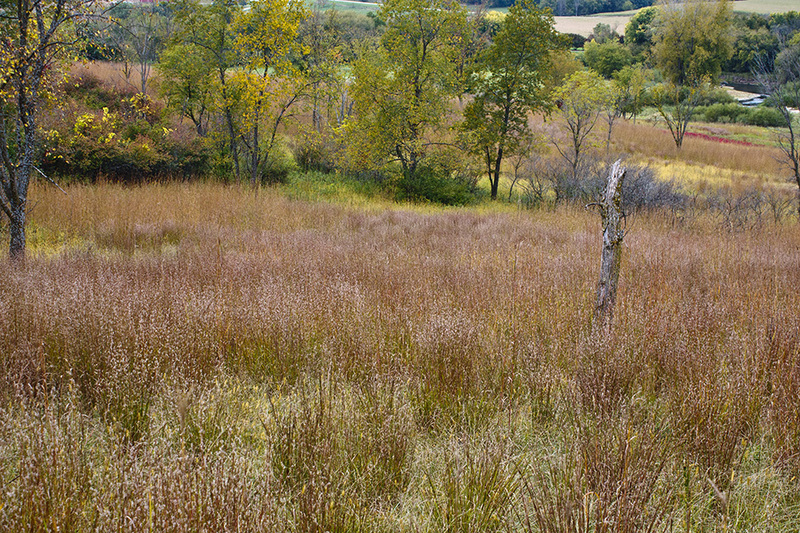 At the top of each culm are several ascending racemes, 1½″ to 3″ long. Each raceme occurs individually on its own slender stalk. 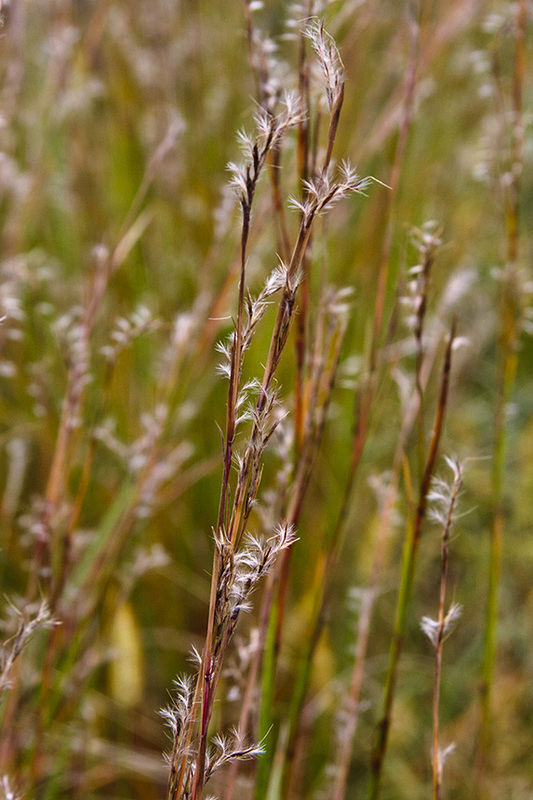 The spikelets are hairy. 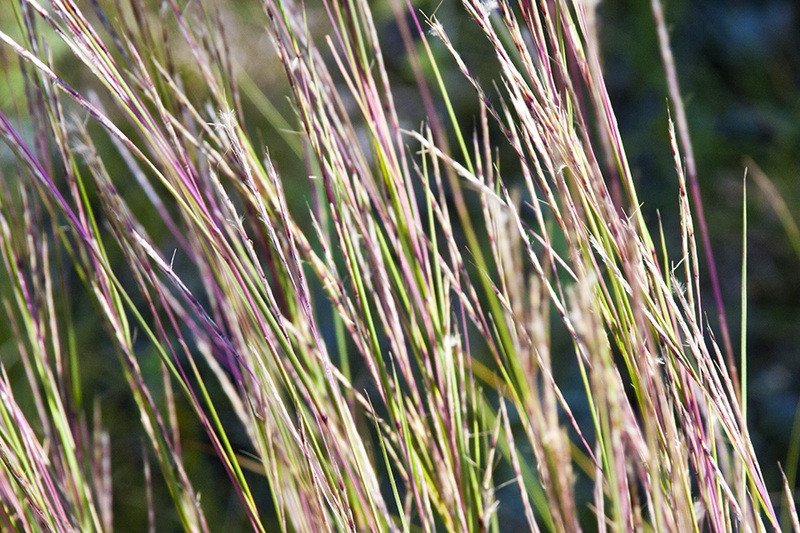 The glumes have a twisted awn at the tip about ¼″ to ½″ inch long. 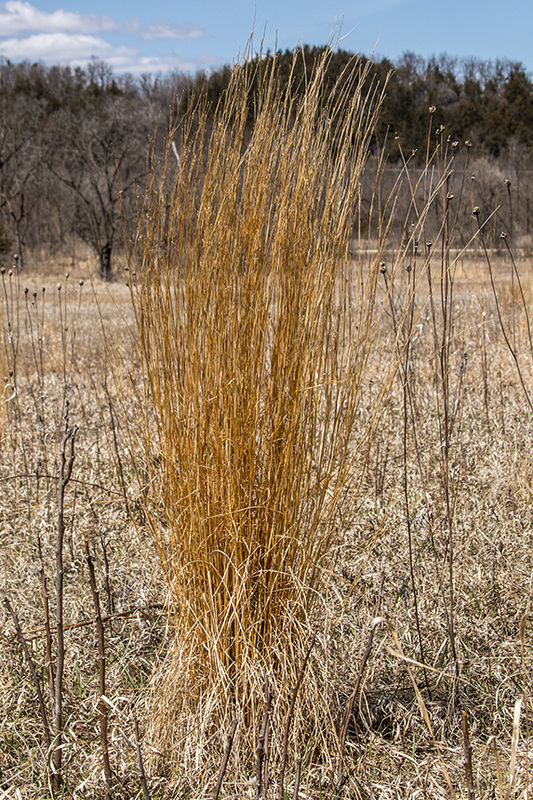 Unlike most grasses, the stems of little bluestem remain upright in the winter. 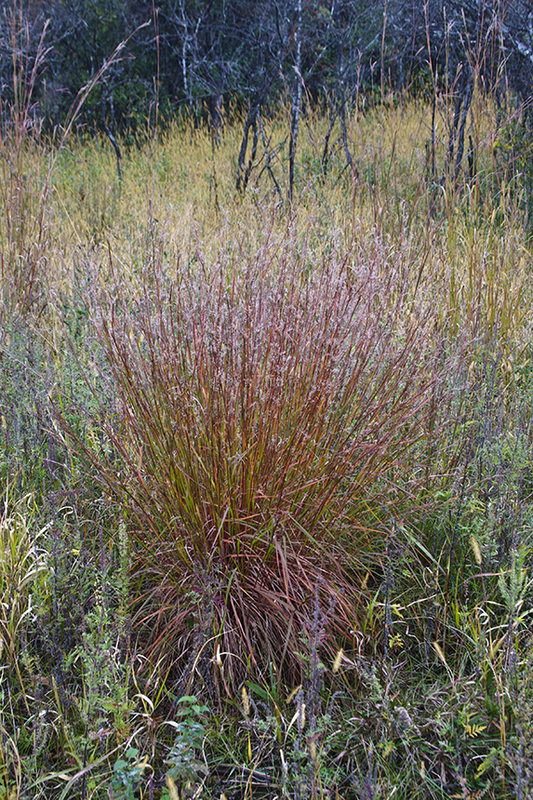 Little bluestem is often used in prairie restorations. The “blue” in the name refers to the color of the emerging shoots in the early summer. 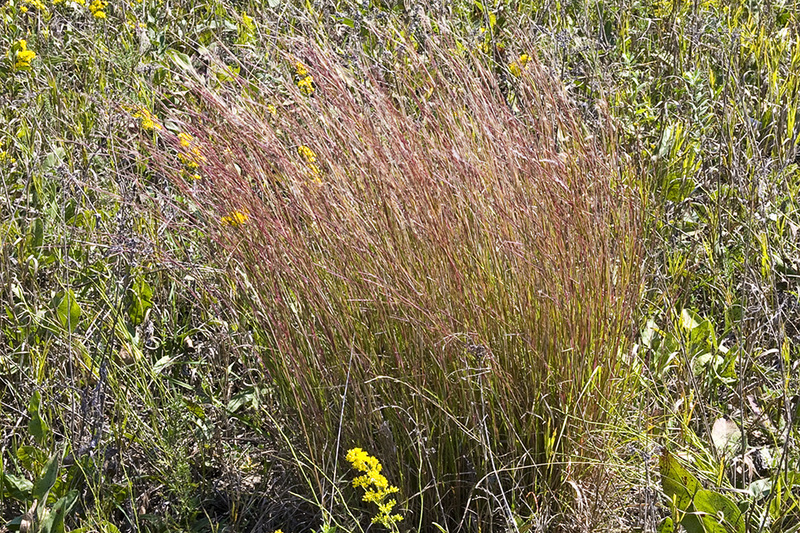 The “little” in the name is a misnomer—this is not a little plant—but differentiates it from similarly-named big bluestem. 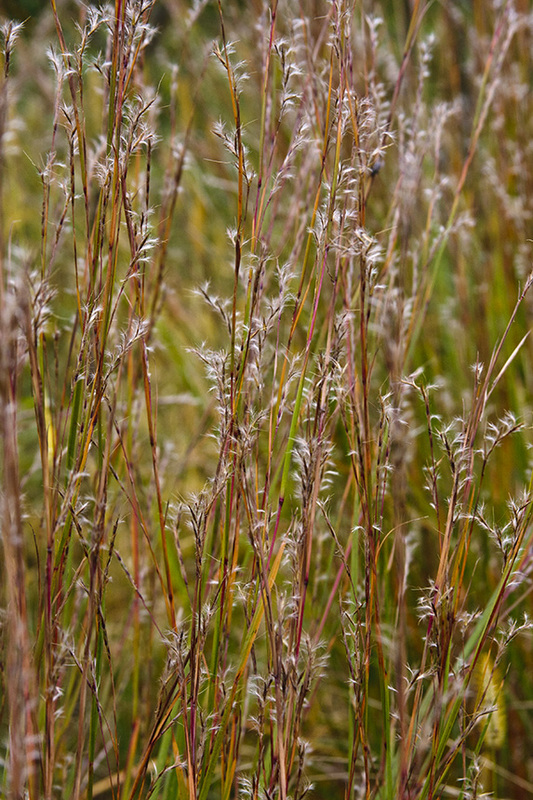 The hollow or pithy stem of a grass, sedge, or rush. A bract at the base of a grass spikelet. 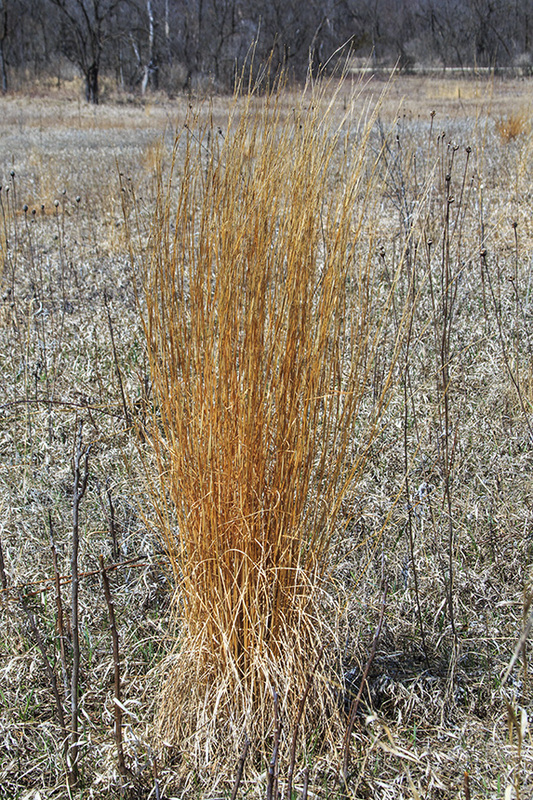 Glumes usually occur in pairs, but occasionally only one is present. An unbranched, elongated inflorescence with stalked flowers. The flowers mature from the bottom up.